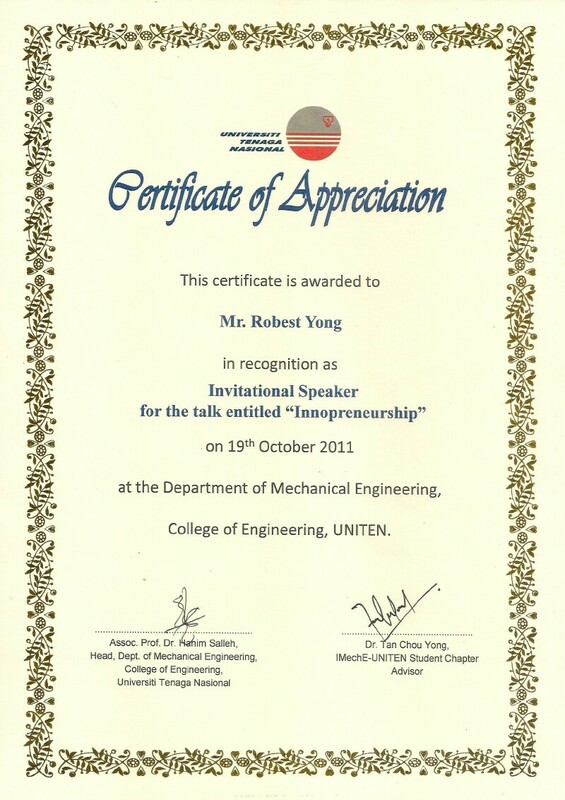 On the 19th of October 2011, the Uniten IMechE Student Chapter with the help and support from the YMS of Malaysia organized a lecture session to complement the lecture series the student chapter had going on regularly since its inception in Uniten in 2007. 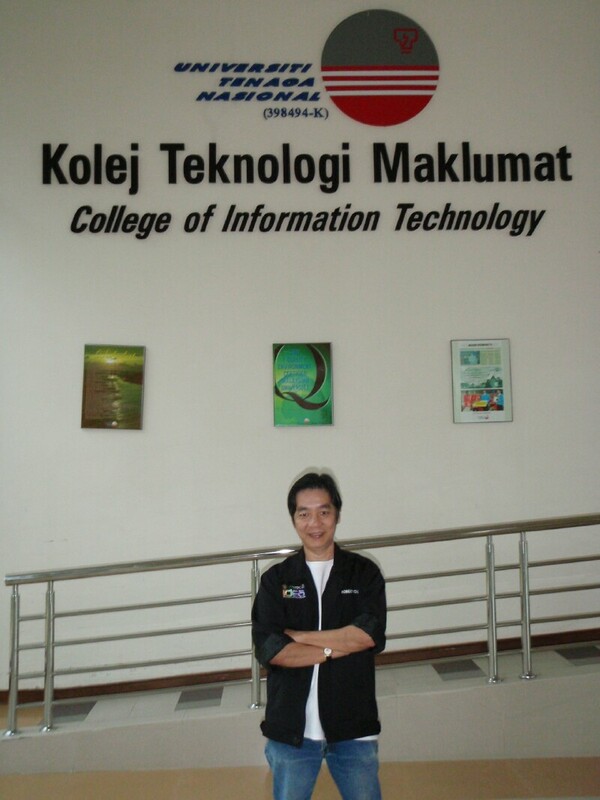 This time, the talk was delivered by an established innovator, Mr. Robest Yong. 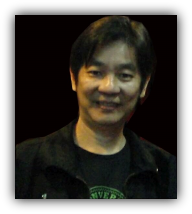 Mr. Robest Yong has won numerous awards in the field of innovations as his brilliant mind knows no limitations. Some of his many awards that celebrate his success in innovation are the 1994 National Invention of the Year, 1997 National Youth Award, 2000 Outstanding Young Malaysia Award and even international awards in many countries, including a gold medal at the International Invention Fair in Geneva, Switzerland and multiple other countries from Russia to Papua New Guinea. One of his innovations that gathered worldwide recognition was the POLYCLONE Machine, internationally patented, which uses the photo-polymerization technology that enables rubber stamps of the highest quality to be produced in less than 5 minutes. This innovation revolutionized the art of making rubber stamps worldwide making the invention a common sight now at every print and stationary shop offering rubber stamp services. During his talk in Uniten, Mr. Yong explained that the necessity to be creative is of highest importance. Children and adults or students aspiring to make a difference must dare to dream but they should be realistic. Ideas too big sometimes do not even see the light of day. We must also not lose the ability to think, letting our "will to follow? take over. He explained that presently, the culture of thinking has unceremoniously declined in Malaysia, resulting in less revolutionizing ideas and efforts from people who are more comfortable to "use and not create?. It is important to plan big, but plan rationally. To make a living in innovations and entrepreneurship, one must understand the concept of �money making ideas?. Ideas that do not garner the interest and wants of the customer will not take off. Without a user, an invention would remain useless. Therefore, it is important to conduct a thorough market survey. Market survey allows the inventor to find out the probability that his invention will survive and thrive out there in the market. Otherwise it would just be an idea that sits shelved. Besides explaining about the importance of thinking outside the norm, Mr. Yong also shared with the students some of his inventions such as the Green Whizzard Probiotic Plant Nutrients which enables the local guava to grow to the size of a human head. He also showed some other innovations from local inventors such as the toothbrush holder, a special kind of toothbrush that enable users to brush their teeth more effectively from the concept of hoe digging. These inventions sparked the students interest in seeing how a simple but effective idea could be a great idea and profitable at that too. All in all, we are sure that the students and even some academic staff learnt a lot during his one plus hour presentation based on the positive feedbacks. With the enlightenment presented by Mr. Robest Yong, hopefully, more people will be inspired to break the habit, and invoke the culture of thinking and creating and simply, be creative. 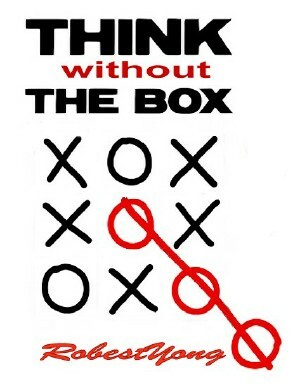 �When they tell you to think outside of the box, I say, What box?� � Robest Yong, 2011.